A lot of graduates are unemployed not because they are not brilliant, but because of their poor written CV and cover letter. In order to get a good job, you need to have a professional CV letter that stands out and attract employers. Your CV and cover letter is your first meeting with your employer, should it speak ill of you then you have missed the opportunity of being called for an interview which will be your second meeting with your employer. 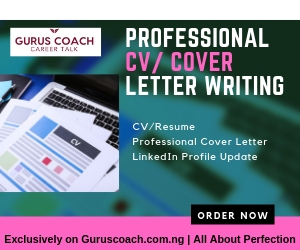 Here at GurusCoach we help job seekers and fresh graduates create a competitive and attractive CV and cover letter that attracts quality interviews. We also provide an additional service of submitting your CV and cover letter to multiple employers after rewriting your CV. 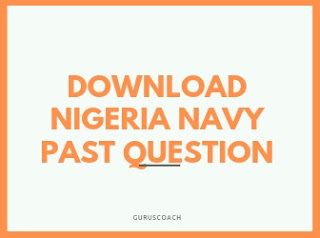 This additional service helps you land a good interview without you having to submit your CV yourself. This is a free service if you order any of our CV and cover letter writing service package. So why waste this golden opportunity? Have an expert write you a professional CV and cover letter that attracts multiples interviews. Below is a list of our package.